Cruise the Intracoastal Waterway from South Carolina to Maryland. 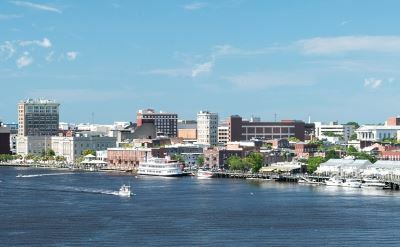 Sometimes the route is referred to as the "intercoastal waterway". Visit historic towns and bustling port cities in the Mid-Atlantic states of North Carolina, Virginia, and Maryland. The cruises are on American Cruise Line. See details below. The first stop on the cruise is Myrtle Beach, South Carolina. This hugely popular beach resort has many entertaining shows in theaters, golf, and lots of shopping. Wilmington North Carolina is the next stop. Visit historic homes, Bellamy Mansion, and beautiful Airlie Gardens. 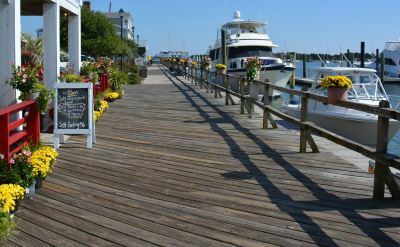 Beaufort North Carolina is historic town with a boardwalk lined with boats and shops. Take a tour and visit Cape Lookout. Kitty Hawk is of course famous for the Wright Brothers. Visit the site and enjoy the big dunes and beaches. 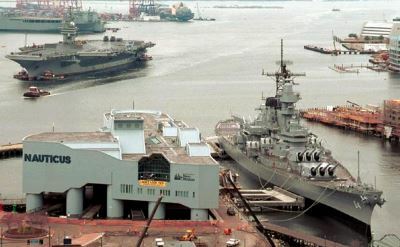 Norfolk Virginia is home to the world's largest naval base and home port of several aircraft carriers. Take a base tour, see art at the Chrysler Museum, the Battleship Wisconsin, or the Botanical Gardens. 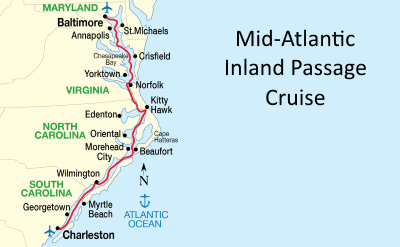 7-night Mid-Atlantic Inland Passage cruises on American Cruise Lines. One-way from Charleston (South Carolina) to Baltimore (Maryland). Visit Wilmington (North Carolina), Beaufort (North Carolina), Kitty Hawk (North Carolina), Norfolk (Virginia) and St Michaels (Maryland).